Mark Lanier, the lead lawyer for the plaintiffs in the multi-district litigation, said that “once again, a jury has listened to the testimony of both sides, and returned a verdict affirming what we’ve known all along: a responsible company would settle these cases and take care of their injured consumers, rather than forcing them through expensive and vexatious litigation just to delay justice.” Lanier added that the verdict was a loud and clear and message that Johnson & Johnson has “a really nasty part of their business they need to clean up.” Depuy attorneys say they plan to immediately appeal the decision. 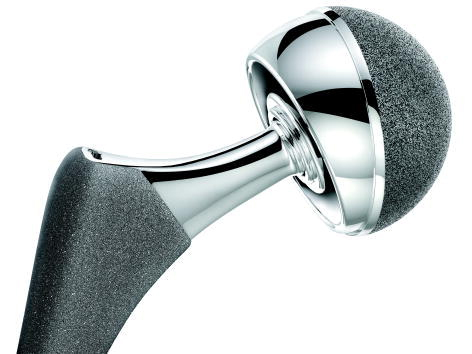 In March of this year, a Dallas jury awarded more than $500 million to a group of plaintiffs who suffered similar complications from Depuy Pinnacle hip implants. The judge in that case, who also presided over this week’s ruling, later reduced the amount of awarded damages to $154 million. Both sides have appealed that ruling. Another bellwether trial involving claims by 10 Depuy Pinnacle hip recipients is scheduled for September 2017. While settlements have been reached in many of the cases filed against the manufacturers of metal-on-metal hips and modular hip implants, lawsuits continue to be filed in courts across the country. The defective product attorneys at Suthers Law Firm have represented numerous individuals who were surgically implanted with metal-on-metal hips in lawsuits against DePuy Orthopaedics, Stryker Orthopaedics and other manufacturers of hip replacement products. The law firm has successfully resolved a large number of these cases, and continues to investigate and pursue cases on behalf of individuals who have suffered injuries as a result of defective hip replacement products. If you or a loved one believe you have suffered injuries as a result of one of these hip implant products, or your orthopedist has recommended revision surgery to remove the defective hip replacement product, contact the experienced defective product attorneys at Suthers Law Firm on our toll free number, 1-800-320-2384, or complete and submit the contact form on this website, for a free consultation.